I'm honored to be asked to be part of this blog tour for a writer I admire so much. 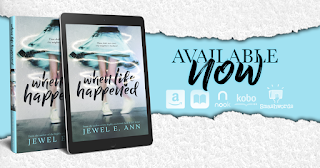 Available now is Jewel E. Ann's latest, When Life Happened. You can go here to read my spoiler-free review, and you can read a short excerpt below. NOTE: The excerpt does contain explicit language/content. Not intended for readers under the age of 18. “You … you tried to seduce me.” Anger fueled her fight, overriding how terrified she felt being feet from naked Gus. He laughed. That fed her anger even more. “I wasn’t seducing you. I was making a point.” He slipped on a white T-shirt. “Precisely. 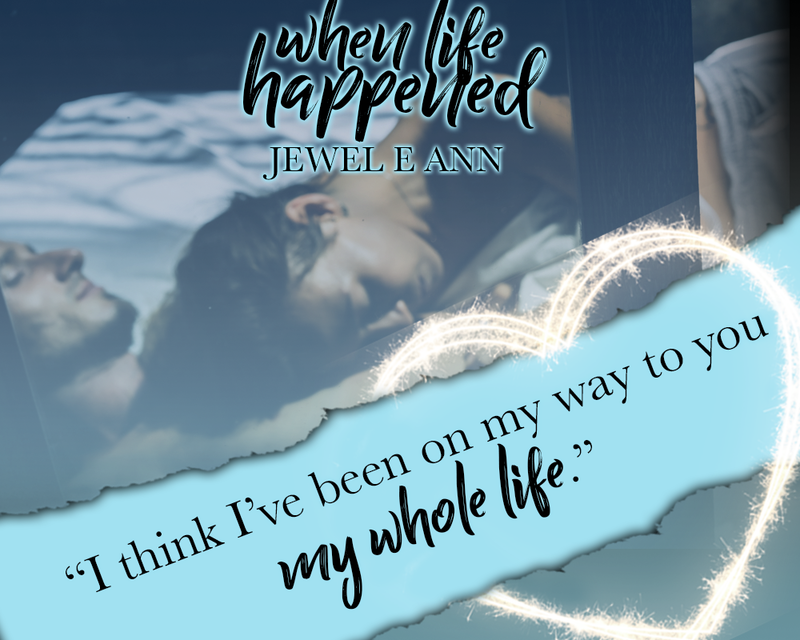 Then you should know that I wasn’t seducing you.” He grabbed her shoulders and steered her away from the entrance to his closet. She turned, relieved to find him dressed. “I felt you.” Her eyes narrowed. “I don’t get your stupid point!” Her fingernails dug into her hands as she clenched them. Gus leaned forward, putting them at eye level. She held her ground, even though his proximity made her body tremble. August Westman proved he was the devil. 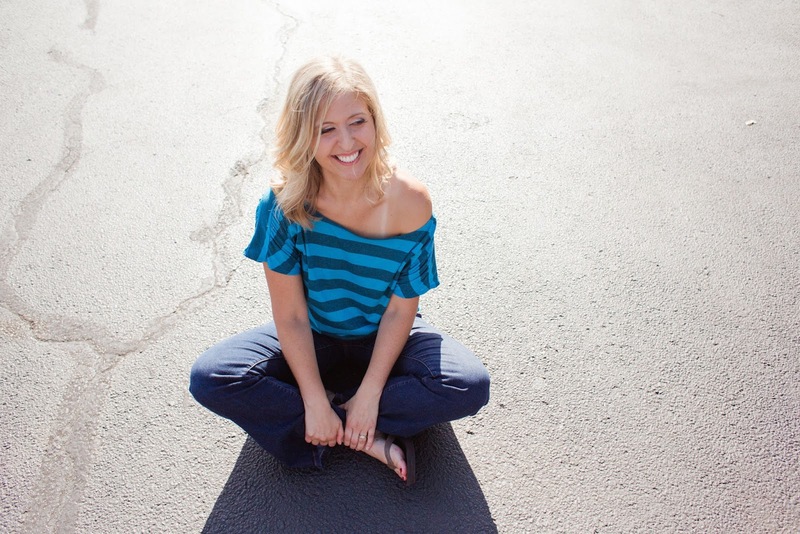 Parker became the worst possible version of herself in his presence. He drugged her with his words, pulled her under with his confidence, and stole her innocence with a whisper.